Distressed Vintage Turkish Rug with Fleur De Lis 3'11" x 6'11" From Esmaili Rugs Collection. 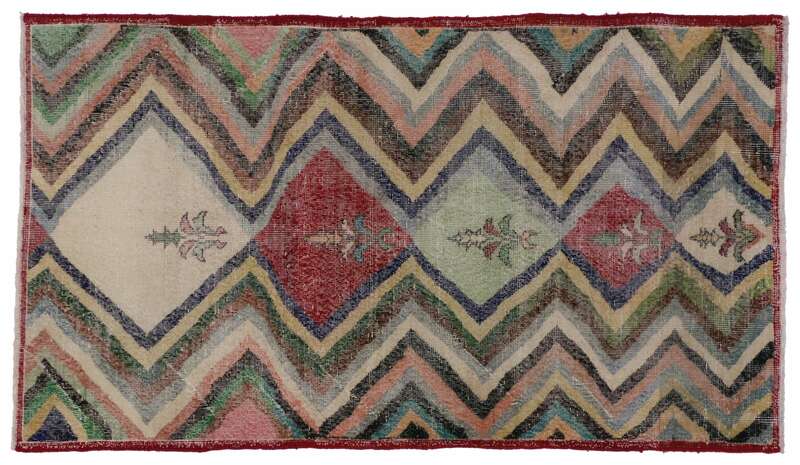 Vintage hand-knotted Turkish Sivas rug with a modern distressed composition. 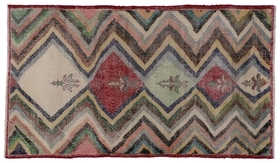 Featuring a unique zigzag pattern with fleur de lis enclosed in diamond motifs rendered in a subdued palette of soft colors.